The Boulevards started life in a shed at the bottom of Tony Clarkin's garden. Tony Clarkin (lead guitar), Ken Pickett (rhythm guitar), Anthony Piovesana (drums), Trevor Wakeman (manager), and Dave Wallace (a friend who later became a DJ in Germany and America) were all schoolmates at Alderlea Boys School. Ken Hepworth who was a friend of Tony's was recruited to play bass guitar. After listening to Geoff Greaves sing at the local boys club he was asked to join as well. It was 1962 on the Shard End estate in Birmingham. Ken Pickett remembers; "The first influences for the band were Cliff Richard and The Shadows, Elvis Presley, Buddy Holly, and Eddie Cochran. 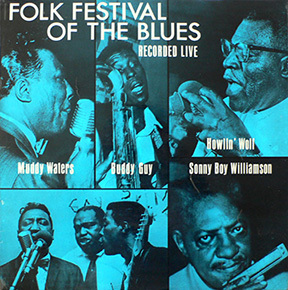 It was after listening to an album called 'Festival of The Blues' with Sonny Boy Williamson, Buddy Guy, Howling Wolf and Muddy Waters that musical tastes began to change. Etta James, Bobby Parker and James Brown became the new influences." One of the first gigs for The Boulevards was at the "Alderlea School Hop" where they shared the stage with Carl Wayne and The Vikings who were one of Birmingham's top performing bands at that time. Their drummer Dave Hollis soon convinced Tony Clarkin that playing in a professional rock 'n' roll band along with its associated benefits was the way to go! Ken Pickett; "Finding regular gigs started in 1963 with Trevor (Wakeman) taking on the task, starting with schools and church halls leading to colleges, pubs and clubs. There were a couple of regular gigs at The Crown and The Silver Beat Club playing alongside special guests including Georgie Fame, Gene Vincent, Screaming Lord Sutch, Spencer Davis and many other touring artists visiting the Birmingham city centre. The Boulevards were soon regarded by many as the best band on the Shard End/Kinghurst estate." 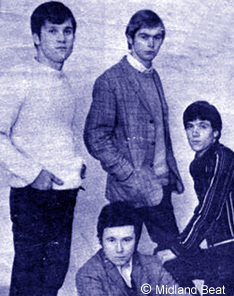 Anthony Piovisana left The Boulevards in August 1964 to be replaced by drummer Dave Walsh from another Shard End group called The Andicaps (who had future E.L.O. star Jeff Lynne in their line-up). The 'Harlequin' pub in Shard End became a hangout for both The Andicaps and The Boulevards. Tony Clarkin remembers; "Whenever Pat Wayne and The Beachcombers played the Harlequin, I'd be hanging round the door watching every guitar lick Geoff Roberts ever put down!" 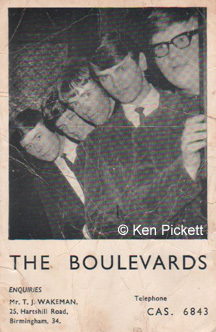 Well-known Birmingham music promoter Mike Carroll was a favorite booking agent for The Boulevards with his venues to include The Mackadown in Kitts Green, The Black Horse (Northfield), and The Royal Oak (Hockley Heath). Tony Clarkin recalled that Mike was certainly one of the more sympathetic local promoters around at that time. "He was always a perfect gent. We'd do material that was a bit off the wall. We never were a 'jukebox' band but Mike always respected our efforts." Like many young groups, The Boulevards line-up was to change a few times. Ken Pickett; "Ken Hepworth left in October 1964 to be replaced by Stuart "Tiny Tim" Duncan. 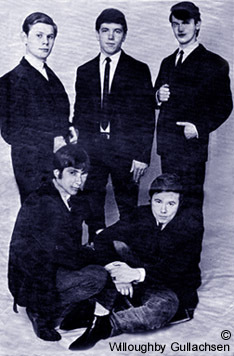 At the end of 1965 Dave Walsh left to join 'The Overlanders' and enjoyed a hit with The Beatles 'Michelle' (Dave also enjoyed chart success as drummer with The Second City Sound). 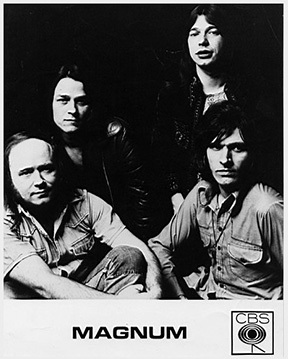 Anthony returned to replace him and Tiny Tim decided it was time to move on as well so Ray Hammond joined the band." Stuart Duncan went on to play with Johnny Neal's Starliners. By now The Boulevards were well-known locally for performing their blues-based material and as such were starting to attract their own dedicated following. A big opportunity for the band seemed likely in 1966 while performing at The Carlton Club in Erdington. Successful Birmingham-born songwriter John Carter of hit group 'The Ivy League' was in the audience and was impressed. The Boulevards were about to leave for bookings in Germany but before they left, John Carter sent The Boulevards a demo recording of a Carter/Lewis composition titled 'Please Mr Heartache' and invited the band down to London to record it. 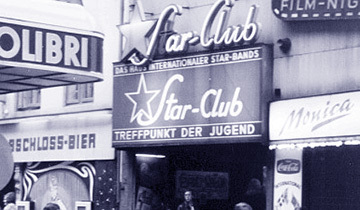 In April 1966 The Boulevards went to Germany for a few weeks playing at the Star Clubs in Kiel, Schleswig, Luneburg, and Dortmund. Ken Pickett remembers; "Germany was hard work playing three hour sets, seven nights a week which made the band very tight so by the time we came home we were sounding great. The only setback was that we were penniless." "Our van (an old ambulance) broke down in Hamburg and we then had to hire then buy a Volkswagon dormobile. When we reached British customs in Dover they confiscated the van, which was a left hand drive with foreign number plates, until we paid an import duty. We were broke so our parents coughed up the money and drove down to pay and collect us. We all look back on it now with a laugh for being so naive!" Tony Clarkin; "In Germany, we set to work on 'Please Mr Heartache' and ended up changing the original arrangement quite considerably to suit our style." On their return to the U.K. the band recorded their version of the song at Regent Sound Studio at 4 Denmark Street near Leicester Square, London. Ken Pickett; "Meeting John Carter and Ken Lewis was a pretty exciting time at a studio in Denmark Street (the old Tin Pan Alley). We recorded, as demos, a couple of songs they had written. As you know they were very 'pop' orientated whereas we were into rock and soul. We roughed up 'Please Mr. Heartache' and 'It's So Fine' making them rockier with a bit more feel. Unfortunately it wasn't what they were looking for." For the Boulevards, their hopes of fame and fortune as the next top-ten pop group were to be dashed within a short time. According to Tony Clarkin; "They (Carter and Lewis) hated what we'd done to their song and we came home with our tails between our legs." Unknowingly rubbing salt into the band's wounds, The 'Midland Beat' newspaper at the time published a rather optimistic feature on The Boulevards and mentioned the band's meeting with John Carter. The headline read; "The Boulevards go professional - With the prospect of a record release within a few weeks, another Birmingham beat group plan to enter the rat-race as full-time professionals." Despite the disappointing Carter/Lewis episode, there was still plenty of work for The Boulevards in and around Birmingham. However, pop music was indeed rapidly changing and few would imagine how different things would be by the end of the following year. As for the The Boulevards, they continued to play regular gigs until October 1966 when the band decided it was time to part company. Ken Pickett continued to participate in the West Midlands music scene. Ken Pickett; "When The Boulevards broke up I started playing bass and Tony Clarkin and I joined a band called 'The Question' based in Hemel Hempstead. The band was made up of ex John Bull Breed members. I replaced John Lodge who went off to join The Moody Blues. Tony and I played with various musicians during the late 60s including John Fincham (singer), Jim Skidmore (drummer), Terry Guy (singer keyboards) and Richard Tandy (keyboards), in different bands until we went our separate ways. Great times!" Tony Clarkin's persistence and refusal to compromise in playing the music he loved would eventually be rewarded many years later when his own hard rock band 'Magnum' earned record success along with the resulting fame and fortune that goes with it. But that's another story! Most of the former Boulevards are still performing on stage to this day. Geoff Greaves sings occasionally in pubs and clubs. Anthony Piovesana plays drums also in various pubs and clubs. Ken Hepworth can be found at "The Old Sills", Solihull where he regularly makes guest appearances on bass guitar. As for Ken Pickett, he's still very active as a working musician. Says Ken; "For the last twenty odd years I have been earning a living playing in pubs, clubs, holiday parks and hotels in the North Devon area under the name KP Solo. I'm now almost retired, but still playing regularly one night a week in a hotel - that's all I want now." Many thanks to Ken Pickett for sending most of the information shown in this story of The Boulevards. Additional quotes by Tony Clarkin are from Laurie Hornsby's excellent Brum Rocked On! book published in 2003.